When Silicon Valley wants to party, they usually make their way up to San Francisco. And why not? San Francisco has a ton of amazing nightlife, from EDM clubs to breweries to EDM clubs to wine bars to EDM clubs to whiskey lounges to more EDM clubs. Of course, making your way from Silicon Valley up to the City usually involves a car ride with a designated driver who plans on remaining reasonably sober, a long Uber or Lyft ride, or a trip up on the Bay Area’s own public transport, the Caltrain. 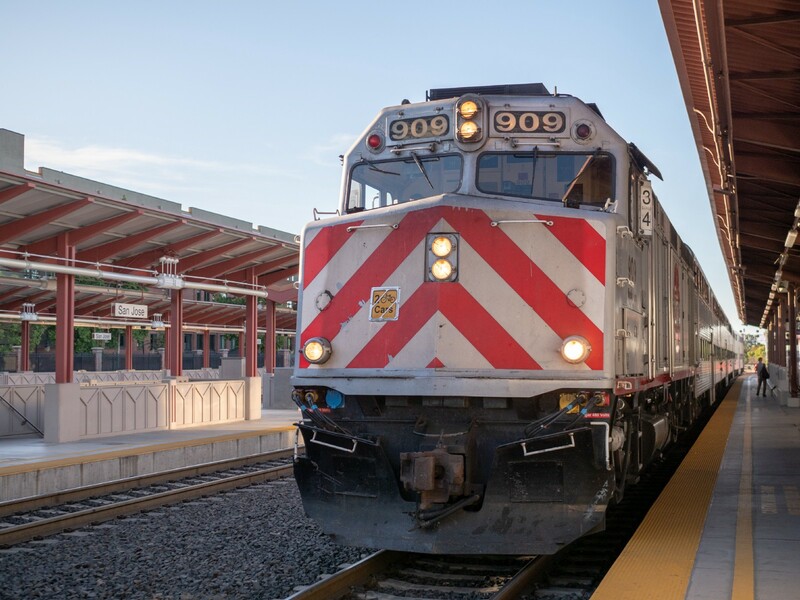 With the growing number of people Uber-ing or Lyft-ing to San Francisco for a night out, fewer people seem to be riding the Caltrain these days. In some ways, they’re missing out, because the Caltrain itself provides one of the most fun party experiences in the Bay Area: the Caltrain Bar Tour. It turns out the Caltrain was built to pass through the downtown areas of almost every town dotting Silicon Valley and the Peninsula, and many of those downtowns have bars. Couple that with the fact that drinking is permitted on the Caltrain, and you can have a crazy fun trip riding the Caltrain up to San Francisco and stopping at bars to rage along the way. But with so many stops to choose from and so many bars to drink at, how do you design the perfect itinerary for making your way up to San Francisco in the booziest way possible? Fear not, The Silicon Valley Post is here with a completely biased, totally unscientific and drunkenly researched guide to the optimal Caltrain Bar Tour. Our itinerary will get you from Silicon Valley to San Francisco on a Saturday Caltrain while stopping to imbibe all manner of alcoholic beverages, and even has a few stops to grab some tasty food along the way (the better to soak up all that booze). Let’s get started! Start the bar tour off with lunch and beers at one of the best kept secrets in Silicon Valley. Poor House Bistro is a few blocks from the downtown San Jose Diridon Caltrain Station, in an old Craftsman house filled with run-down old-timey charm. They have a great menu of Cajun food, an extensive beer list, and a patio area with live music. On Sundays, they even have an excellent brunch with live jazz, though if your bar tour is on a Saturday (a wise choice since you probably want to spend Sunday recovering) you can still enjoy their delicious Po’ Boys, fried oysters, and sausage bread. To top it all off, their beer menu has a rotating selection of great hard to find brews, making it a perfect place to kick off a long day of drinking. San Franciscans have long mocked San Jose as a predominantly suburban city where people hang out in places like strip malls and grocery stores and whatever Santana Row is trying way too hard to be. For its part, San Jose has slowly but surely been adding establishments that make it seem hip and cool. But the Whole Foods in downtown San Jose, a block from the Caltrain station, seems like it’s decided to fully own the city’s suburban rep. They’ve added a brewpub, Floodcraft Brewing, to their second floor. After all, what screams suburban soccer dad more than sneaking in a quick beer at a brewery while finishing up some grocery shopping? 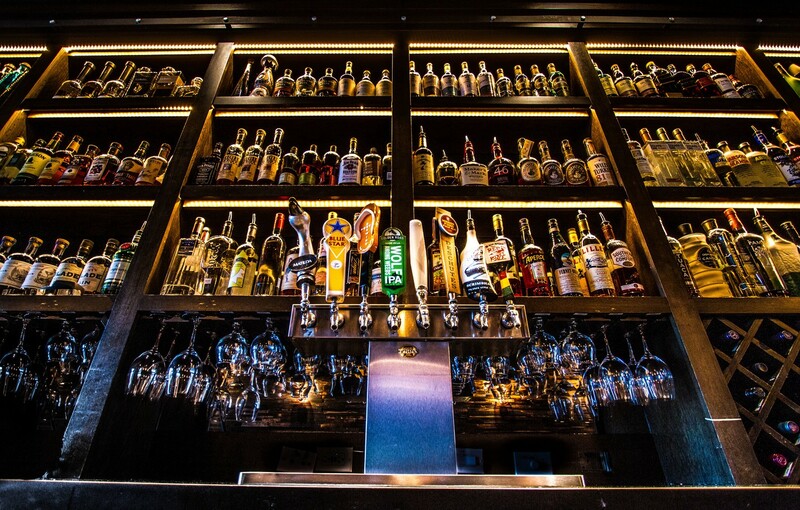 And this is definitely the bar of your dad-core dreams, complete with plenty of televisions showing live sports, a few house brewed beers, and a roof deck location overlooking the SAP Center and the downtown skyline. You can even bring your own beers purchased at Whole Foods up to Floodcraft Brewing, or order sushi that turns out to be Whole Foods deli sushi! 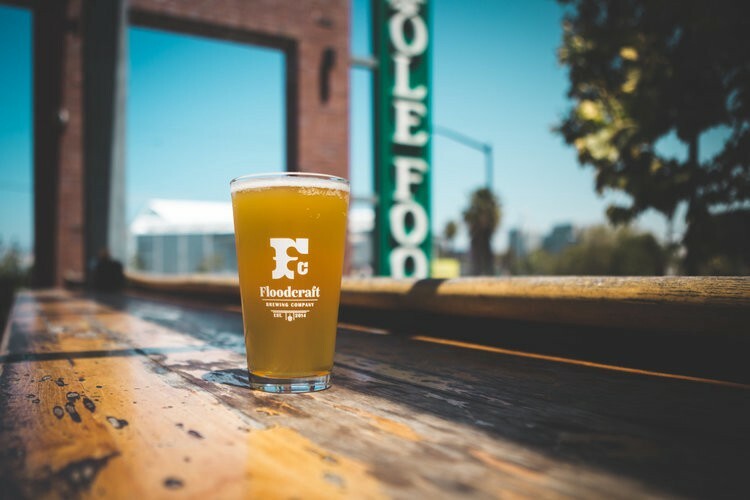 For its willingness to completely embrace San Jose’s suburban soul, Floodcraft Brewing makes for a great place to kick off your Caltrain Bar Tour. Get off the Caltrain in Sunnyvale at 1:23 pm, and keep the beers flowing by making the three minute walk to River Rock Taproom in the middle of downtown Sunnyvale. This place has an awesome concept: the moment you walk in, they hand you an RFID bracelet. You can scan the RFID at different taps to pour yourself one of over thirty beers or four wines they have on tap. Once you’re done, they’ll scan your RFID bracelet to figure out how much you owe for the drinks you threw down. It’s like a pay as you go, all-you-can booze paradise. You have until 2:53 pm to catch the next Caltrain, so pace yourself as you sample a couple different beers. This may be the most conveniently located bar on the whole list. It’s located in a cottage right on the Caltrain platform, making it a perfect place to stumble towards on your bar tour. After stepping off the Caltrain in Mountain View at 2:59 pm, head to Savvy Cellar and get your whole crew a very reasonably priced wine flight. If you find a window seat or sit on the patio, you can even watch the next couple of trains roll by along the tracks. Just be sure to get back on the Northbound Caltrain (opposite side of the tracks from where Savvy Cellar is located) by 4:29 pm. 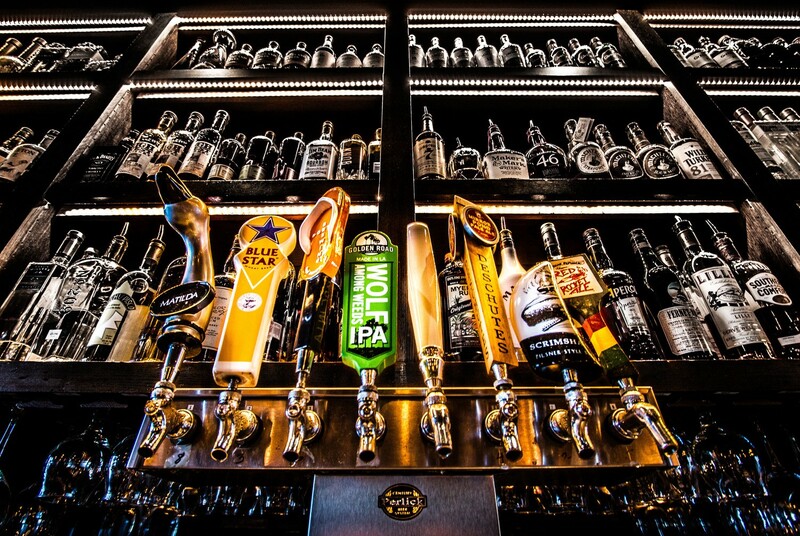 Tied House is the platonic ideal of a Silicon Valley brewpub. Long list of ales and IPAs brewed on site? Check. TVs showing sports on every conceivable part of the wall? Check. Food that seems like it was created to impress a more high brow Guy Fieri? Check. Awkward Googler having a pretentious conversation with a Tinder match? Check. Token middle aged business development managers at a youthful startup buying rounds of beer for the whippersnappers they work with? Check. All sarcasm aside, the Cascade Amber here is my favorite local beer in Silicon Valley and Tied House is well worth checking out for that beer alone (not to mention all the other great beers they have on tap!). After arriving in Palo Alto at 4:42 pm, you only have about an hour to rush down University Avenue to the Old Pro, chug a beer (or one of their famous beer towers, depending on how much you hate your liver), ride their mechanical bull, try your best not to puke, high five a Stanford frat bro, and rush back to the Caltrain to catch the 5:43 pm northbound train. Old Pro is a slightly longer walk from the Caltrain station than most bars on this list, so I suggest a brisk walk to the bar and back. Nola’s is located right next to the Old Pro, and seems to be filled at all times with a maximum amount of Stanfordness. Nola’s is so Stanford that they have a tennis shop inside the bar. Nola’s is so Stanford that you can’t be there for thirty minutes without overhearing a conversation about founder’s equity. Nola’s is so Stanford that I once saw two people recreate a passive aggressive West coast version of this famous scene from Good Will Hunting there. All that being said, Nola’s makes a hell of a good mojito. After some express drinking in Palo Alto, take the express Caltrain to San Mateo and arrive at 6:01 pm. Head to Wursthall, an industrial chic space one block from the train station. At this point, you’re probably in need of some food to soak up all that booze, and Wursthall delivers with a variety of sausages made on-site. For those of you who prefer healthier options, they also make some excellent salads and a mean vegan doner kebab. And of course, as a German establishment, they have a stellar selection of beers on tap, particularly European lagers. San Mateo is one of the most underrated cities in the Bay Area, with lots of hidden gem restaurants and a pretty walkable downtown. It’s such a great place that one of my friends who used to live there insisted on calling it the “Best Mateo”. This itinerary has a 2 hour stop in San Mateo, so if you have time, it’s a great idea to check out the second and third options on this list! Izakaya Mai is a hidden little Japanese restaurant off the side of San Mateo’s B Street run by a friendly Japanese proprietor who keeps the sake flowing and yakitori skewers perfectly grilling. It’s a fun environment where Japanese businessmen on work travel and locals in the know gather for delicious booze and food and excellent service. It makes for a great alternative to dinner at Wursthall and would even be a great spot for a second dinner. Just be sure to order a few rounds of sake, you’re on a bar tour after all! Dessert Republic is a Hong Kong style sweets cafe located in an alley behind the movie theater in downtown San Mateo. Like Izakaya Mai, this tucked away spot doesn’t even have a website. What it does have is an abundance of delicious Chinese desserts: egg custard in a wide assortment of flavors (mango is a personal favorite), sticky sweet black sesame soup, and their signature tiramisu pot that literally comes served in a pot. This is a great spot to sip on some tea, munch on some treats and sober up just a little bit before hopping back on the Caltrain at 8:12 pm. After a quick ride to the next station, get off the Caltrain at 8:16 pm and stumble a whole 2 minutes past the Caltrain station to the Barrelhouse. I only need four words to describe this super fun bar: Four Roses Bourbon Flight. Just make sure that bourbon doesn’t leave you so obliterated that you can’t make it back onto the 9:46 pm Caltrain bound for your final stop. Aside from Barrelhouse, there aren’t any bars I particularly like in Burlingame. If a whiskey flight isn’t your style, feel free to skip Burlingame entirely and head directly to San Francisco for the grand finale of your Caltrain Bar Tour experience. District is a wine bar in the South of Market (SoMa) neighborhood that has long welcomed people who miss their Caltrain and end up stranded in San Francisco for an extra hour. Aside from people who are waiting for the next train, its location in the tech epicenter of San Francisco also draws a solid crowd of tech bros and Tinder first dates. About 8 years ago, it was also well known as a cougar bar, but these days they seem to have been priced out into other areas (you know San Francisco is insanely expensive when even the cougars are priced out!). The bartenders here are extremely nice, and they mix some delicious drinks. It’s a great place to end your day of extreme boozing. You’re in San Francisco! There are more than a dozen drinking establishments within a half mile radius of the Caltrain station. Head up Fourth Street to check out Coin-Op Game Room for some arcade games and libations, or go another half a block away from the train station and check out Hotel Utah for some live music and old timey San Francisco vibes. Or go down King Street and hang with the bro-ey Giants fans at Momo’s, or sip on fancy cocktails with the young and successful techie crowd at Alchemist Bar and Lounge. If you want to stay as close as possible to the Caltrain, there’s always the laid back scene and Moscow Mules at Bar Basic just one block from the station. Stop #8: Time to go home! The last Caltrain back to South Bay leaves San Francisco at 11:40 pm on Saturday, and if you still haven’t had your fill of drinking, you can continue to drink on the train. If you’ve had enough of riding the train for one day, you can always take an Uber or Lyft home. If you’ve been following this itinerary closely, by now you have probably been drinking almost continuously for 12 hours straight. Congratulations! You’ve now experienced Silicon Valley, the San Francisco Bay Peninsula, and San Francisco proper in true inebriated style. Now make sure to drink plenty of water to ward off the upcoming hangover!